So you’ve got your new iPhone or Android but you have no idea what apps to get for it? No problem! 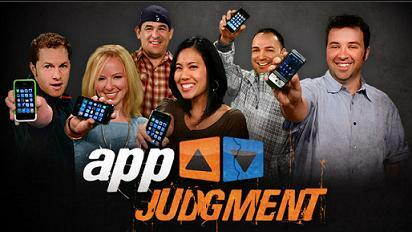 AppJudgement is a web series that breaks down only the best apps each week and gives you their 2 cents on them. No longer will you have to sift through 1000’s of useless phone applications only to be constantly let down. Let’s face it, having a smart phone without any cool apps these days is just anti-social. iPhone applications have become conversation pieces for parties, standing in line, and just regularly killing time. But unfortunately, most good apps these days are hard to find, costly, and/or take up a lot of memory. So keeping your phone uncluttered with useless apps is a must. AppJudgement reviews the latest apps every week so you won’t have to go through the trouble of installing a junk one again. 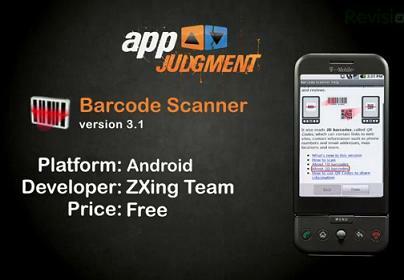 In this webisode, the Barcode Scanner app is reviewed. As you’ll come to find out, most of the apps presented on the show are free. Catch new episodes weekly on Revision3. Fun Canadian Flashmob Video | Dancing in the Street, Literally!